Pet Mountain sells all types of dog leads and collars, flea and tick collars, harnesses, ID tags and muzzles. Like having something to chew on, every dog has a leash. 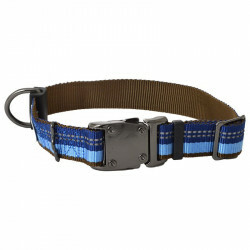 Leashes come in all types of styles and sizes, from leather to nylon, metal to durable cloth. Of course, some dogs can go leash free and be fine, no problems, no running away. But, its very rare. Dogs are naturally curious and want nothing more than to go see the sights around the neighborhood. Most owners pick the type of leash that reflects their own style or the style that matches the type of dog. Have a tiny, toy dog? Perhaps a pink collar with bells on it. Have a tough pitbull? Perhaps a spiked collar. 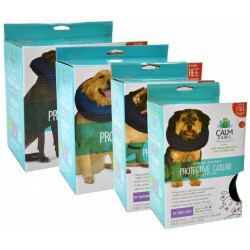 If you have a feisty dog that tends to get out of their leash, then a dog harness is the way to go. Pet Mountain has a wide selection of these. 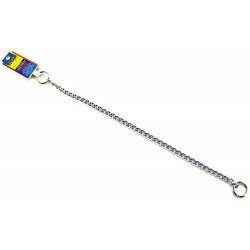 Of course, dont forget the ID tag for your pooch; it could really help if your dog was ever to get out of your yard. If your dog just had surgery or has an open sore and you need to keep them from licking it, a muzzle will do the trick. Also good for aggressive dogs who have the potential to bite. Take a look at our huge selection of dog leads and collars, flea and tick collars, harnesses, ID tags and muzzles. Discover all the specials and discounts. Cant find something? Let us know; well track it down. And dont miss our online coupons and discount shipping on all your favorite products.